Ready for something other than turkey, and much simpler to make into a meal? 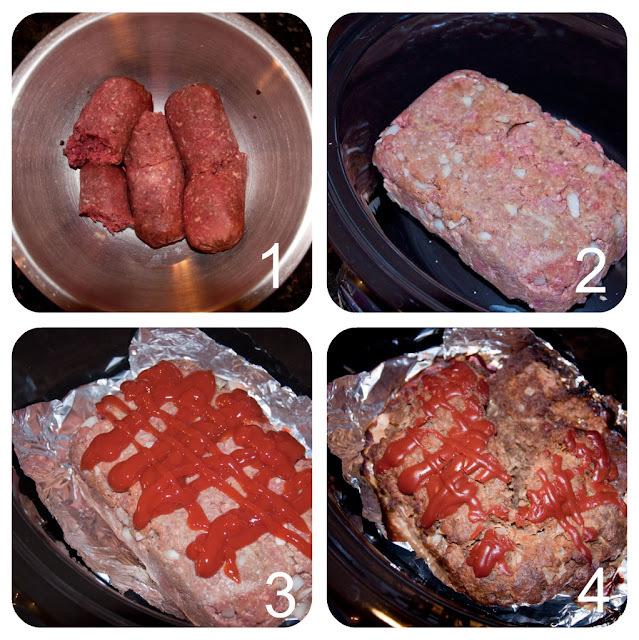 Meatloaf in a crock pot, form it into a loaf the night before and then place it in the slow cooker before you head out the door! Mix ingredients in a large bowl and form into a loaf. Before you cook, place a strip of aluminum foil in the bottom of the crock pot. Squeeze some ketchup on the top (as much as desired) and cook on low for 8 hours.